December 13th, 2009 by Roy W. Spencer, Ph. 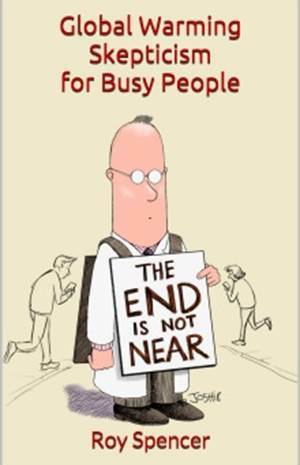 D.
UPDATED 12/16/09 1415 PST with final pdf version of talk…and press release, 1425 PST. I decided to make my invited presentation on estimating cloud feedbacks from satellite measurements available here (final version-pdf):Spencer-Forcing-Feedback-AGU-09-San-Francisco-final. There will be a UAH press release on Wednesday, December 16, which is embargoed until 11 a.m. PST (1 p.m. CST). SAN FRANCISCO, Calif. (Dec. 16, 2009) — Which came first, the warmer temperatures or the clearer skies? Answers to that and similar “chicken and egg” type questions could have a significant impact on our understanding of both the climate system and manmade global warming. 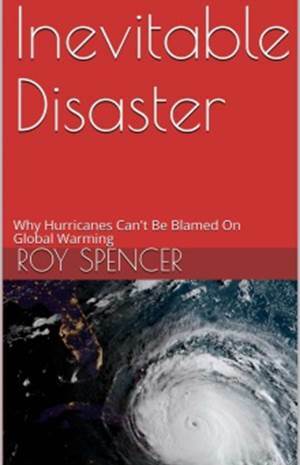 In an invited talk scheduled for today at the American Geophysical Union’s fall meeting in the Moscone Convention Center, Dr. Roy Spencer from The University of Alabama in Huntsville will discuss the challenge of answering questions about cause and effect (also known as forcing and feedback) in the climate. “Feedbacks will determine whether the manmade portion of global warming ends up being catastrophic or barely measurable,” Spencer said recently. 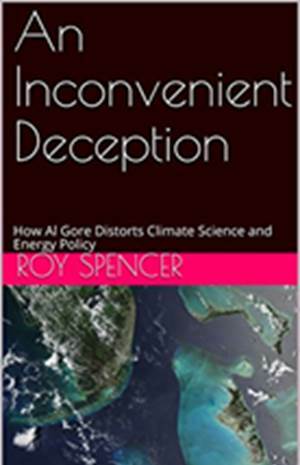 Spencer’s interest is in using satellite data and a simple climate model to test the simulated feedback processes contained in climate models that are used to forecast global warming. “I am arguing that we can’t measure feedbacks the way people have been trying to do it,” he said. “The climate modelers see from satellite data that warm years have fewer clouds, then assume that the warmth caused the clouds to dissipate. If this is true, it would be positive feedback and could lead to strong global warming. This is the way their models are programmed to behave. One problem is the simplicity of the climate models. Because cloud systems are so complex and so poorly understood, all of the climate models used by the United Nations’ Intergovernmental Panel on Climate Change use greatly simplified cloud parameters to represent clouds. But the calculations that set those parameters are based on assumed cause-and-effect relationships. Using satellite observations interpreted with a simple model, Spencer’s data support negative feedback (or cooling) better than they support positive feedback. “This critical component in global warming theory – cloud feedback – is impossible to measure directly in the real climate system,” Spencer said. “We haven’t figured out a good way to separate cause and effect, so we can’t measure cloud feedback directly. And if we don’t know what the feedbacks are, we are just guessing at how much impact humans will have on climate change. A former NASA scientist, Spencer is a principal research scientist in UAHuntsville’s Earth System Science Center. « Geomagnetic Forcing of Earth’s Cloud Cover During 2000-2008?